Many have taken this ONE verse and have ignored the evidence of the rest of the word of God that teaches us that in the LAST days we WILL know that day and the hour, IF we are watching. So does the Bible then contradict itself? Now not at all when one takes the time to STUDY the word of God closely and see what the words used truly mean and not what we THINK they mean. You see when Jesus spoke these words, at that time know man had come to the understanding or had perceived as yet the time of the day of the Lord, no not the angels, or even the Son of God, could absolutely say for sure as yet what the day or the hour was going to be. However the word suggest FULLNESS of knowledge and NOT never being able to know or understand. “Watch therefore: for you KNOW NOT ( as yet) what hour your Lord does come. The unbelievers will not DISCERN the times, but those of us who are WATCHING will put the pieces together, so to speak and will come to UNDERSTAND and know the day and the hour as that day comes closer. So if those that teach the PRE-tribulation point of view say that no man knows the hour meaning that now man will ever know the day or the hour, then what does Daniel and 1 Thessalonians mean? No, my brothers and sisters in Christ Jesus the WISE will study God's word and walk in the LIGHT that the Holy Spirit gives to us and we will UNDERSTAND and know the day so that the thief will not overtake us. “And they that be WISE shall shine as the brightness of the firmament: and they that turn many to righteousness as the stars for ever and ever. The words of God shall NOT be sealed and shut up forever so that man will never know as we have been misled to believe, BUT in the last days, the time of the end, knowledge will increase and we will come to understand the day and the hour. We may not know the day or the hour NOW, but this scripture so often quoted of of context does not mean that we shall NEVER know the day or the hour of the coming of Jesus. As the day draws closer the saints of God who are watching will PERCEIVE that day and the hour of the coming of the Lord, and the vision will speak to us as the word tell us that it will. Even the PRE-tribulation point of view teach that those who miss the rapture of the church and go through the great tribulation period will be able to know the day and the hour. But wait a minute, I thought they just said that NO man knows the day and the hour in that NO man can predict the day that Jesus will come again. You can not have it BOTH ways. In other words this word translated as “knows” cannot mean no man will ever know one time and man will be able to know at another time to fit your theology. The TRUTH is that as that day approaches we are give SIGNS to watch for so that that day will NOT overtake us as a thief and for those of us who are WATCHING will know the hour that he Lord will come. This is what the word of God teaches and not that no man will never know the day or the hour as some have falsely taught us. Jesus is saying get a hold of this for this is vitally important that you understand this. There is one more verse I want you to look at that clearly shows that we will be able to know the day and the hour when Jesus will return. Now the opposite of this verse is equally as true therefore. In other words, those of us who ARE WATCHING will KNOW what hour that Jesus will come again. Even though we have not perceived as yet what that exact hour is I believe the word of Almighty God assures us that those who are watching will KNOW the hour as that day draws closer. 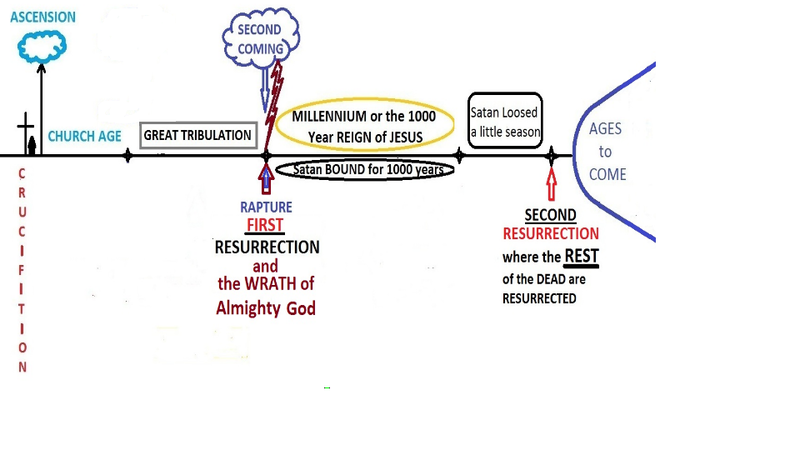 For a deeper understanding of the SIGNS to watch for please read the study called “THE SECOND COMING OF JESUS”. Thanks for reading. May God open your eyes of understanding so that you will come to the knowledge of the truth of the WHOLE word of God.